Pitching against four other design agencies on BAA’s roster, we were delighted when we won a contract to produce a tender pack for a multi million pound media contract for advertising and marketing companies. BAA wanted us to create a corporate coffee table style brochure that would entice the country’s leading media agencies to want to tender for the contract. Not only did it need to reflect that BAA is the world’s leading airport operator, but it needed to highlight the fact that it is an extremely exciting business opportunity, and a contract that media agencies the world over would be hungry to win. We worked around the clock to meet the extremely tight deadlines. We had just six weeks from appointment to completion. To achieve this we had to work pretty much constantly – working most evenings and weekends. The resulting tender pack was nothing short of spectacular. 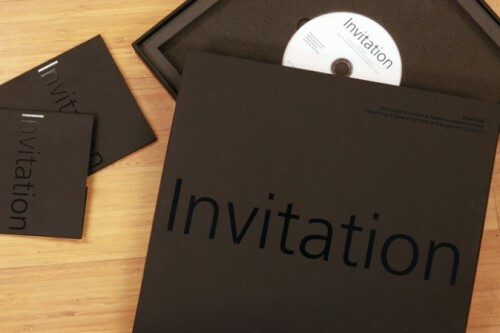 Tactile, and of the highest quality, the tender pack was covered in a soft velvet black Fedrigoni Ispira stock which was printed with a spot UV varnish. We also designed an interactive DVD in flash with navigation built in which would allowed the user to view the information on as many opportunities as required. This was all packaged in a sturdy presentation box with black foam inner to hold the DVD and brochure. The team at BAA were delighted with the design. All tenders have now been awarded and following this we have built a great working relationship with the retail and commercial team at BAA, which has led to us being awarded many additional projects.